They’re baaaack! Kim Kardashian and Kanye West can’t get enough of that Paris Fashion Week scene, and they returned to the front row today at the Balmain show to support their pal and king of the selfie, Olivier Rousteing. What else would they be doing? 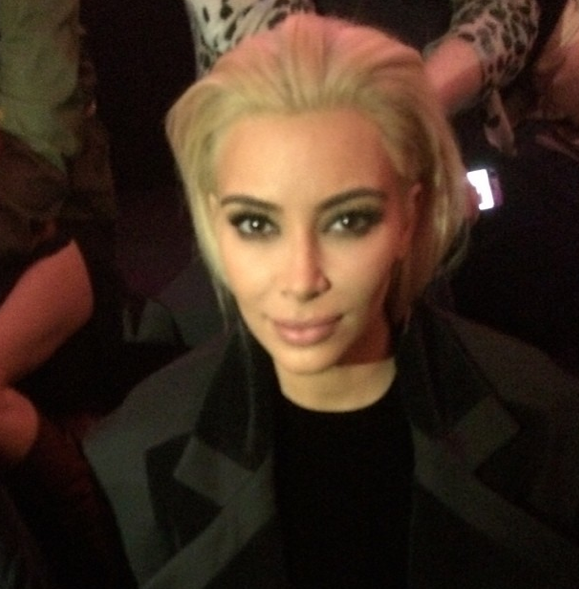 Avid Instagram user Suzy Menkes was on the scene earlier today, and she snapped this shot of Kardashian sporting a brand-new look at the show. 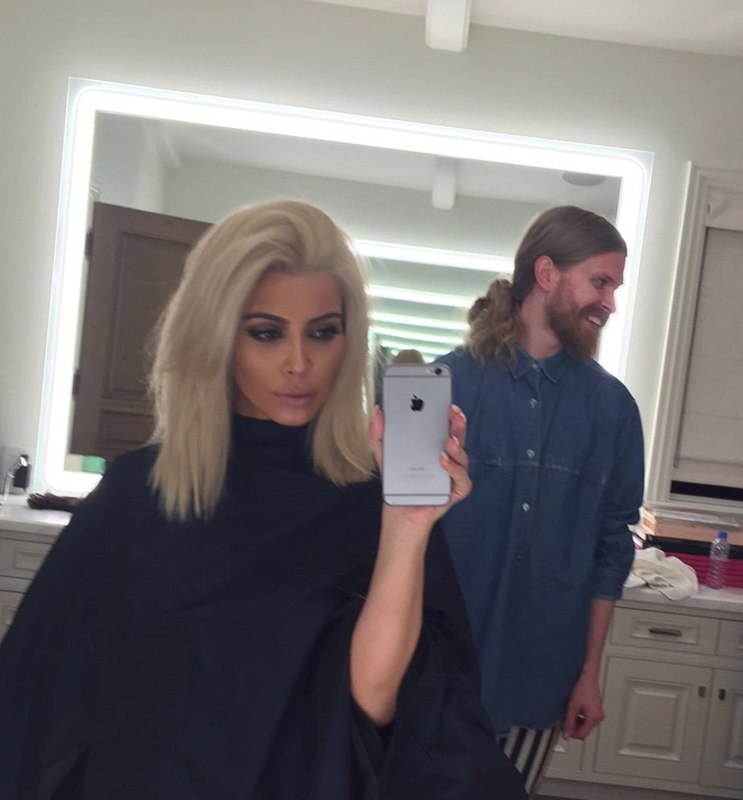 Mrs. West has gone platinum blonde! Ohmygawdyouguys. There was also no sign of North West at Balmain, but sister Kendall Jenner walked and KK sat next to mom Kris Jenner. BTW! If you aren’t following Suzy Menkes on Instagram, you must! While we’ll always miss Suzy’s trusty disposable cameras, she’s really taken to this Instagram thing and this week has posted shots of pals like Jean Paul Gaultier and Donatella Versace, plus Kevin Systrom, who just so happened to invent the photo-sharing app. Spa and her famous clients include Reese Witherspoon, Jennifer Lawrence, and Elizabeth Olsen.